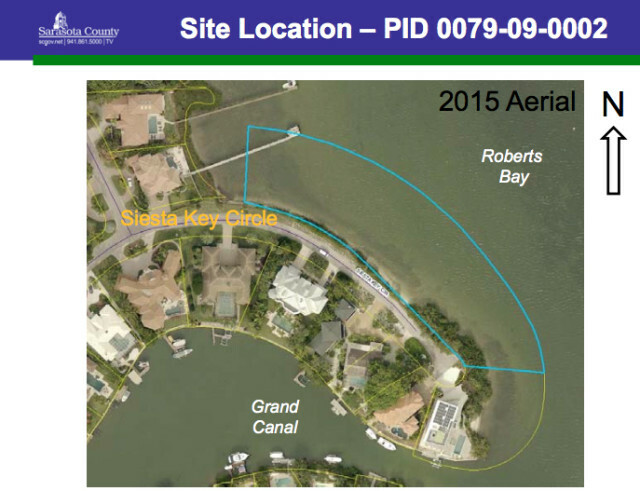 A Sarasota couple who lost an appeal late last year in an effort to build a dock on vacant property they own on Siesta Key has petitioned the 12th Judicial Circuit to review the decision and reject the denial. Erika and Achim Ginsberg-Klemmt filed the Writ of Certiorari on Feb. 24. County Attorney Stephen DeMarsh notified the county commissioners of the action on March 8, reminding them that in that action, they affirmed the decision of the county’s Water and Navigation Control Authority (WNCA) administrator. 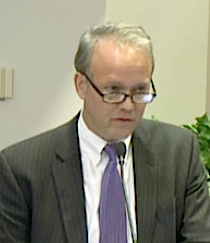 On Dec. 9, 2015, Howard Berna, the county’s environmental permitting manager, who also serves as the WNCA administrator, explained to the board — sitting as the WNCA — that while the Ginsberg-Klemmts made technical adjustments in the dock plans to comply with county regulations, the site still did not have adequate room for the parking of two vehicles outside the public right of way, as required of a dock plan. He also cited errors in the survey the couple commissioned of their property, saying that the county’s own surveyor found the area of land that could be used for parking contained less than 400 square feet. The Ginsberg-Klemmts’ survey showed approximately 1,500 square feet is available; it was completed by Brigham Allen Land Surveying of Venice. 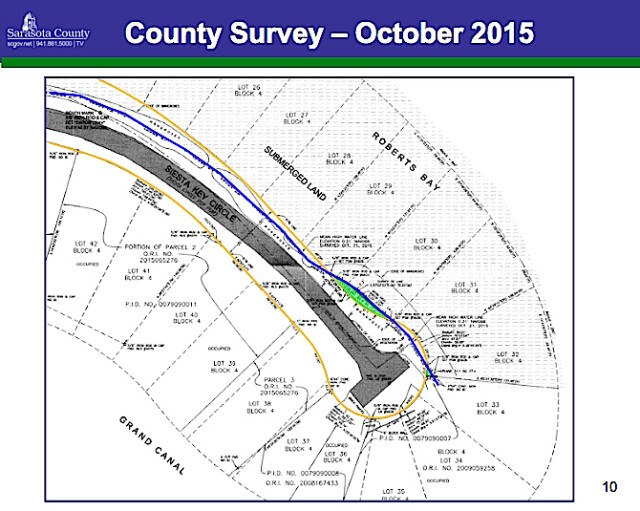 County zoning regulations require an area of 9 feet by 18 feet for one parking space, Berna pointed out. However, because of the limited area outside the right of way on Siesta Key Circle, where the Ginsberg-Klemmts own the property, only 7 feet of width is available, he said. 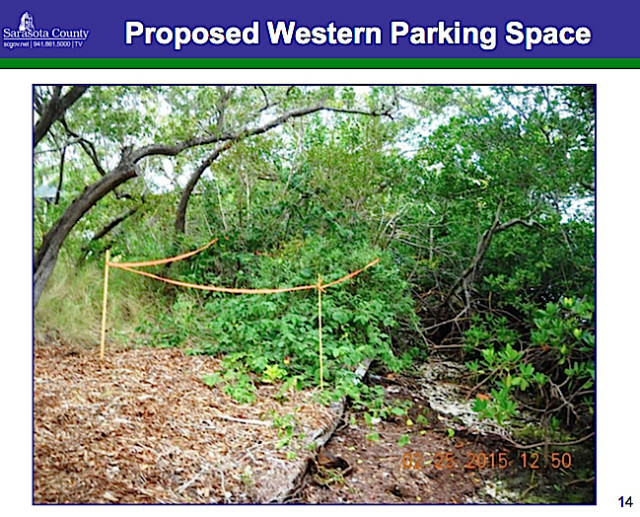 He further noted that the Ginsberg-Klemmts do not live on Siesta Key Circle, and the “upland property owners residing on the southern side of the road have expressed concerns” that the existence of a dock on the proposed site could encourage trespassing on the structure as well as on their properties. Tom Teffenhart, who said he lives at 951 Siesta Key Circle, told the board he explored the possibility at one time of constructing a dock in his backyard or across the street from his house, but when he talked with county staff members about his plan, they told him he would not be able to win a permit “I didn’t argue about it,” he added. “I didn’t pursue buying the underwater properties.” He also supported Berna’s denial of the Ginsberg-Klemmts’ permit application. Altogether, eight people spoke in favor of Berna’s action. In her presentation to the County Commission on Dec. 9, Erika Ginsberg-Klemmt said, “Our home is on the Phillippi Creek, about a six-minute drive from this location [on Siesta Key Circle].” She and her husband are avid sailors, she added, and their oldest daughter rows with Sarasota Crew. 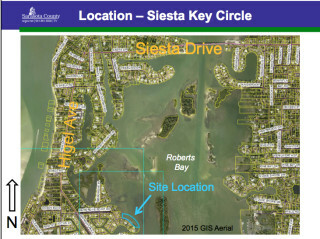 According to records in the Sarasota County Clerk of Court’s Office, the Ginsberg-Klemmts were the highest bidders in June 2012 for Lots 22 through 32 of Block 4 in the Siesta Beach Subdivision, “less that portion comprising submerged lands in Roberts Bay.” The county sold them the property for $3,157.29, a tax deed says. The Sarasota County Property Appraiser’s Office says the value of the land in 2015 was $13,600. 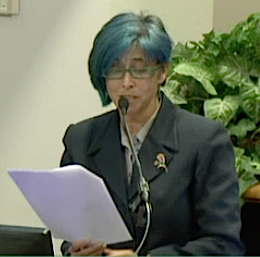 The writ goes on to reiterate comments Erika Ginsberg-Klemmt made to the Sarasota County WNCA on Dec. 9, including the assertion that Berna violated state law by not responding to the couple’s application for the dock permit within the established 30-day period for such action. On Feb. 25, 2015, the writ continues — 10 days after that period ended — Berna “inspected the site conditions for the first time and marked the initially proposed parking areas in the field with red marker tape.” Then, on March 6, about 19 days after the 30-day period had ended, Berna sought additional information from the couple and suggested they relocate the proposed parking areas to a different section of the parcel. On Dec. 9, 2015, Teri Owen, the senior county surveyor, characterized the 1925 plat to which Ginsberg-Klemmt referred as “more like a sales plat that got recorded,” with insufficient information to make a survey possible. 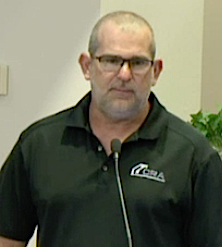 She spoke with Michael Allen of Brigham Allen, she added, as soon as she saw his survey did not correctly reflect the cul-de-sac at the end of Siesta Key Circle. He was unaware of decades-old procedures in the county regarding the filing of “calculation sheets” provided by surveyors of record to correct earlier errors made on plats, Owen pointed out. However, in the writ, the Ginsberg-Klemmts say the calculation sheet in this case is not part of the county’s public records, and, therefore, does not meet the requirements of state law. “An inquiry to verify the authorship, creation date and intent of this document remained without response by County officials,” the writ adds. The Ginsberg-Klemmts filed the writ themselves. 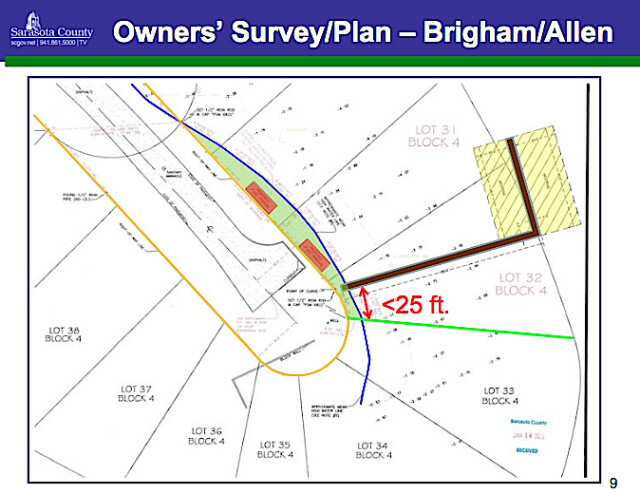 They seek “the costs and expenses that they have incurred in connection with this action,” as well as a reversal of the WNCA denial and confirmation of the validity of the 30-foot cul-de-sac radius “specified on the original subdivision plat map,” the writ says. Then-Vice Chair Maio made the motion on Dec. 9, 2015 to deny the Ginsberg-Klemmts’ appeal. “Basically, I’ve heard enough competent legal expert testimony by our staff about this and support their position,” he said. Then-Chair Carolyn Mason called for the vote, which was unanimous in denying the appeal.